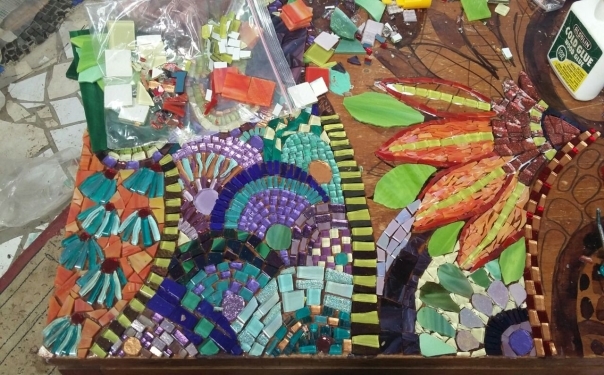 Welcome to the Piece by Piece Mosaics , The richness of materials available and the limitless potential of creative possibilities that the art of Mosaic offers, has won my heart over since 1995. 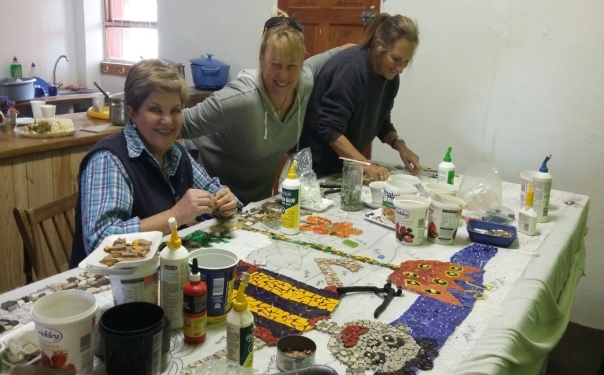 Currently I operate from my studio in the small village of Riebeeck East and love applying meticulous attention to beauty and detail in projects big or small. 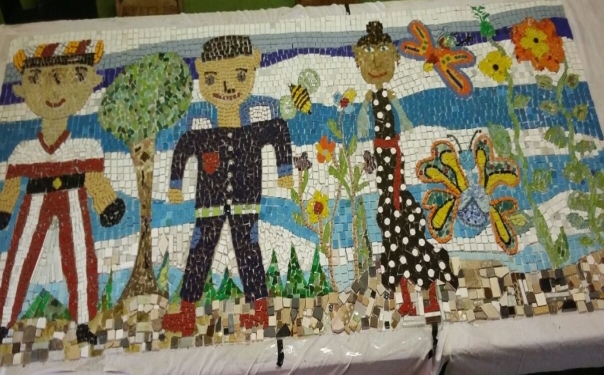 We have just completed possibly the longest mosaic mural in the Eastern Cape. As a community project it aimed at sharing skills in mosaicking and beautifying our local and only main road as well as adding a splash of colour to the entrance of our local school. 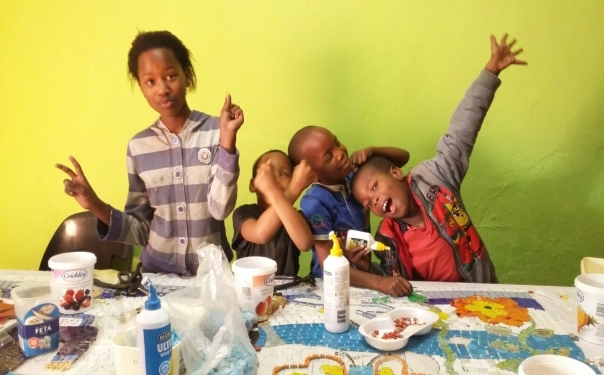 Our nearest town is Grahamstown which is 39km's to the east.